The Site Assessment Program is the initial phase of the federal Superfund Program that performs preliminary evaluations and field investigations of potentially contaminated sites. This section administers Utah’s Toxic Release and Tier 2 chemical inventories, and also coordinates with other agencies involved with environmental incidents. The Superfund program is a federal program that is not delegated to the State. 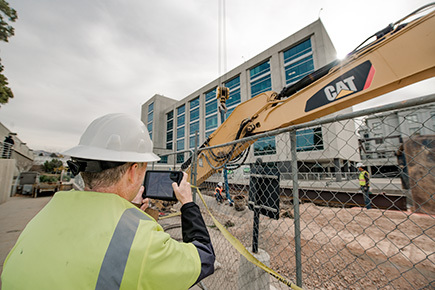 The Utah Department of Environmental Quality, through the Division of Environmental Response and Remediation, works with EPA, federal facilities, and other stakeholders to manage the cleanup and long-term maintenance of these highly complex sites. The division also works with EPA and other stakeholders to investigate and cleanup other sites contaminated with hazardous substances that are being addressed through Superfund authority. The Voluntary Cleanup and Brownfields Programs work with with stakeholders to implement the tools and resources available in Utah to address Brownfields. These tools include the Voluntary Cleanup Program, Enforceable Written Assurances, and EPA Brownfields grants.